Shop O'Keeffe's For Healthy Feet Daily Foot Cream (2.7 oz. )2.7 oz. $729$7 and 29 cents$2.70 / oz. 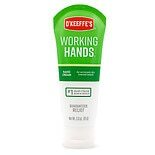 Shop O'Keeffe's Working Hands Hand Cream (2.7 oz. )2.7 oz. $699$6 and 99 cents$2.59 / oz. 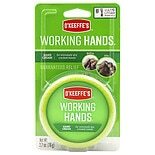 Shop O'Keeffe's Working Hands Hand Cream Unscented (3 oz. )3 oz. $699$6 and 99 cents$2.33 / oz. 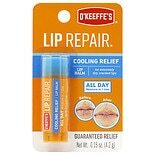 Shop O'Keeffe's Lip Repair Cooling Relief Lip Balm Cooling Relief (.64 oz. ).64 oz. $449$4 and 49 cents$29.93 / oz. 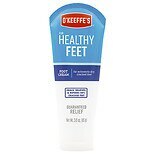 Shop O'Keeffe's Healthy Feet Cream Tube (3 oz. )3 oz. 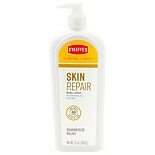 Shop O'Keeffe's Skin Repair Body Lotion Pump (12 oz. )12 oz. $1299$12 and 99 cents$1.08 / oz.